Clinically, the transthalamic plane of the fetal head is manually examined by sonographers to identify whether it is a standard plane. This examination routine is subjective, time-consuming and requires comprehensive understanding of fetal anatomy. 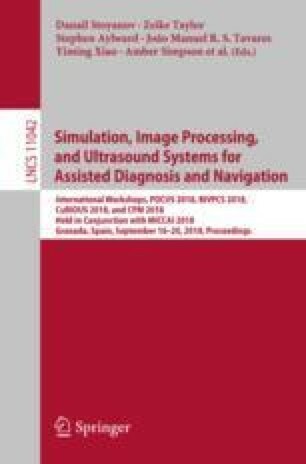 An automatic and effective computer aided diagnosis method to determine the standard plane in ultrasound images is highly desirable. This study presents a novel method for the quality assessment of fetal head in ultrasound images based on Faster Region-based Convolutional Neural Networks (Faster R-CNN). Faster R-CNN is able to learn and extract features from the training data. During the training, Fast R-CNN and Region Proposal Network (RPN) share the same feature layer through joint training and alternate optimization. The RPN generates more accurate region proposals, which are used as the inputs for the Fast R-CNN module to perform target detection. The network then outputs the detected categories and scores. Finally, the quality of the transthalamic plane is determined via the scores obtained from the numbers of detected anatomical structures. These scores detect the standard plane as well. Experimental results demonstrated that our method could accurately locate five specific anatomical structures of the transthalamic plane with an average accuracy of 80.18%, which takes only an approximately 0.27 s running time per image. This work was supported partly by National Key Research and Develop Program (No. 2016YFC0104703).